In the last couple years, I have been doing a lot of seated massages. I mean – a lot! 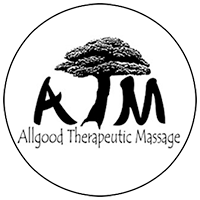 The last year, the majority of these massages have been 10 minutes, which may not seem like a long time, but those short 10 minutes can be beneficial and help with a few minor neck and shoulder aches – or just plain relax. From my experience doing these massages, I’d like to share a few tips so that you – and others – can get the most out of a ten minute seated massage. If there’s a signup schedule, be on time, if not a minute or couple minutes early. Every minute you’re late makes you lose that time from your massage. If you don’t want to wear your sweatshirt, sweater, glasses, or jewelry during the massage, take it off before arriving, or as soon as you arrive. Don’t wait until you’re sitting in the chair. ‎If you want to put your hair in a ponytail during the massage, do it before sitting in the chair. When you’re in the chair, remember that you should be like a ragdoll. When people tense up their muscles, thinking they’re “helping” the massage therapist, they’re actually hindering the work and the results. So unless the massage therapist asks you to do a certain movement, just relax. 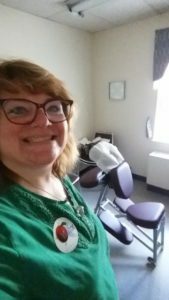 ‎If you are not actually in the chair but around when someone else gets their massage, let them enjoy it and don’t talk to them or make comments about them getting the chance to relax for a few short minutes. Also, the massage therapist should be the ONLY person touching the person in the chair. Yes, I’ve had people “tease” the person in the chair about getting a massage or others try to help me massage the person in the chair. I could write a whole blog post on this topic and the possible why’s of it, but that’s for another time. The bottom line is that you have 10 minutes. You don’t want to waste any of your precious time in the chair. I help this helps you enjoy as much time in the chair as you can. If 10 minutes isn’t enough for you, let’s talk about getting you on the table to enjoy a 60, 75, or 90 minute massage, where you can really relax! Be ready for your appointment by downloading and completing the Client Intake Form.